Duane Pitre is an American avant-garde composer and performer. His work often focuses on the tensions between electronic sound and acoustic instrumentation, chaos and discipline, as well as site-specificity and performativity. The composer frequently utilizes alternate tuning schemes that focus on microtonality, enabling him to explore unaccustomed intervallic relationships. Pitre’s works have been presented in New York City spaces such as Roulette, The Stone, MoMA’s P.S.1, St. Ann’s Cathedral, Phillips de Pury & Co., and ISSUE Project Room (where he was spring 2009 Artist in Resident). He has been featured in online publications such as Foxy Digitalis, Pitchfork, and the American Music Center’s NewMusicBox webzine. 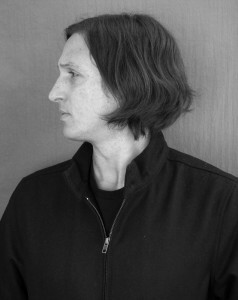 Pitre’s work has been released on labels such as Important Records, Root Strata, NNA, Quiet Design, and Trome Records. In 2009 he curated and contributed a track to a Just Intonation compilation, alongside Pauline Oliveros, Ellen Fullman, Michael Harrison, Charles Curtis, and others.